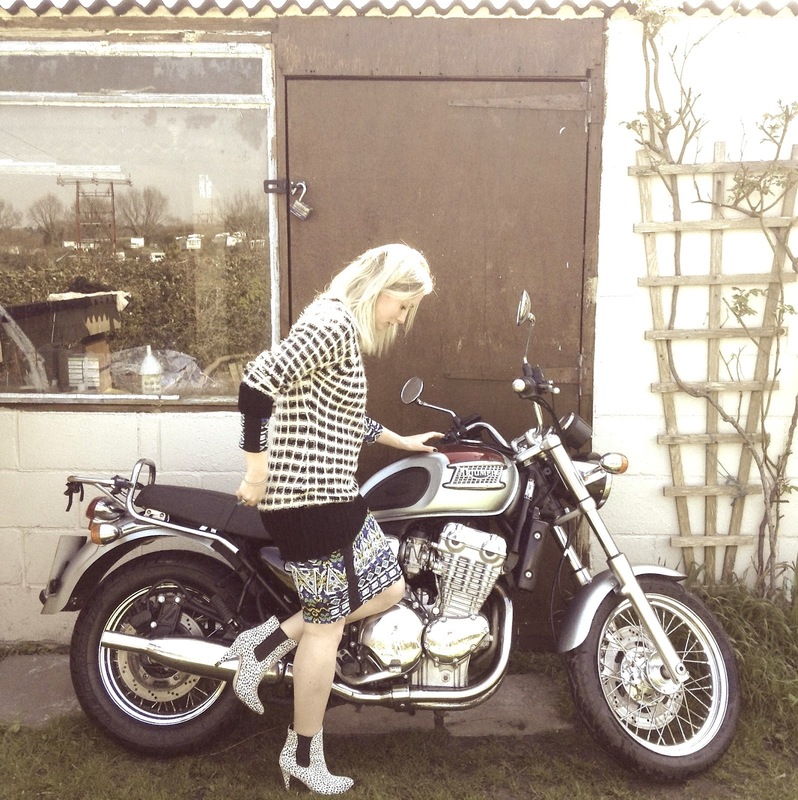 Taking motorbike lessons in less than practical attire! I love this super fluffy Goddiva knit and bodycon print dress. The best news is prints and checks are big for autumn and this jumper is now in the sale for only £8! Get it before it zooms.